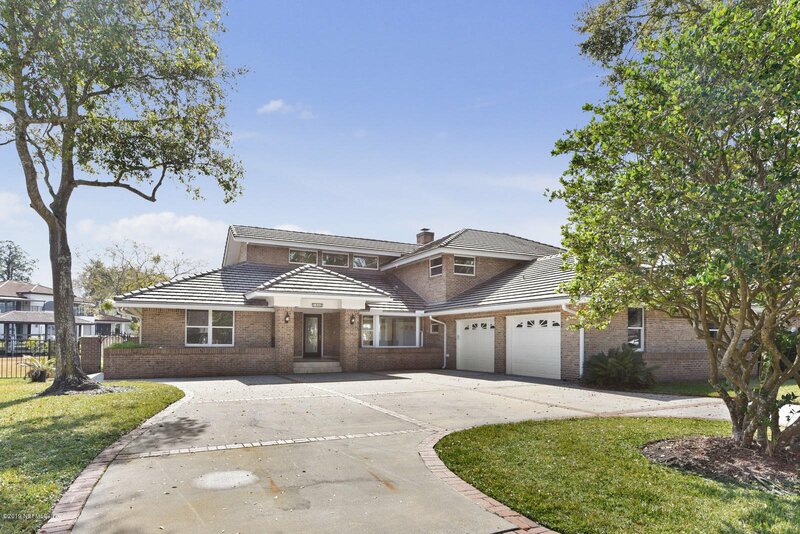 Make this beautiful riverfront estate your new home! 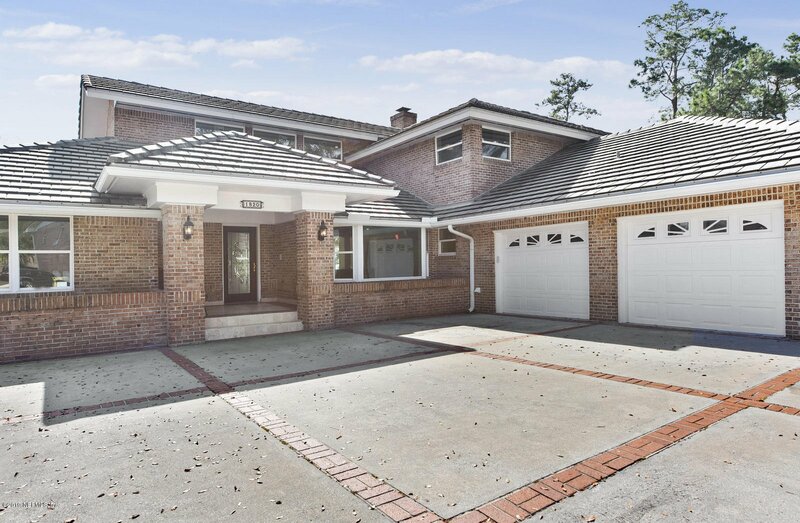 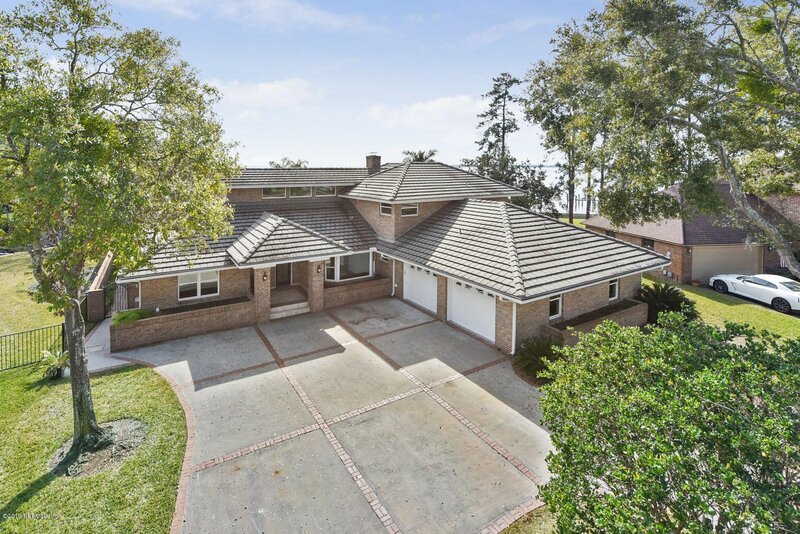 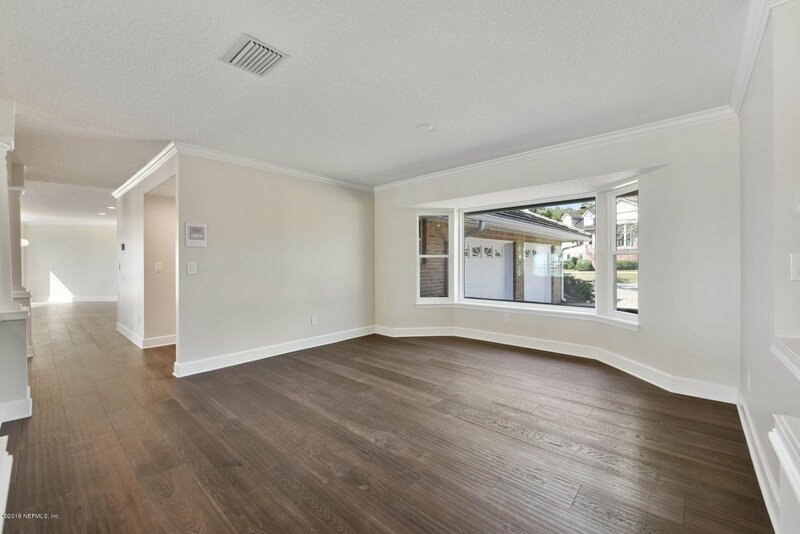 This renovated home is conveniently located in an established quiet neighborhood off San Jose, just a short drive to downtown with easy access to JTB and I-95. 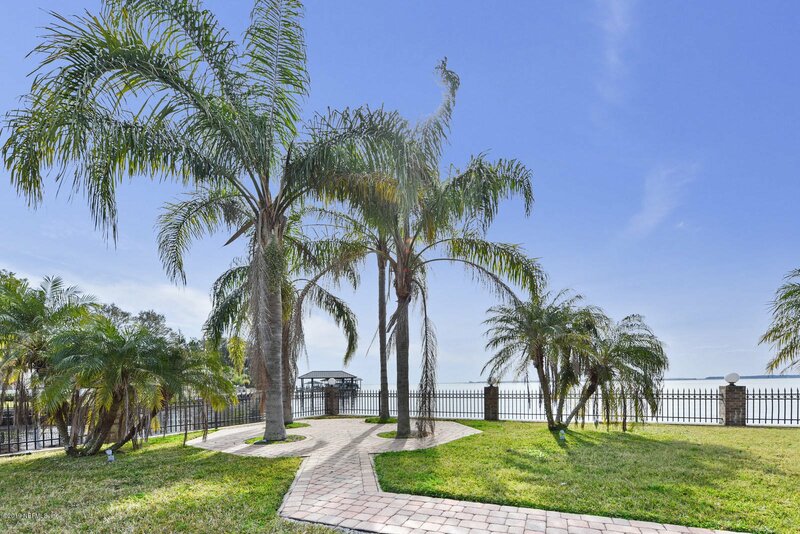 Take in the beautiful views of the St. John's River from this unique ''corner'' riverfront lot- with both river and canal frontage. 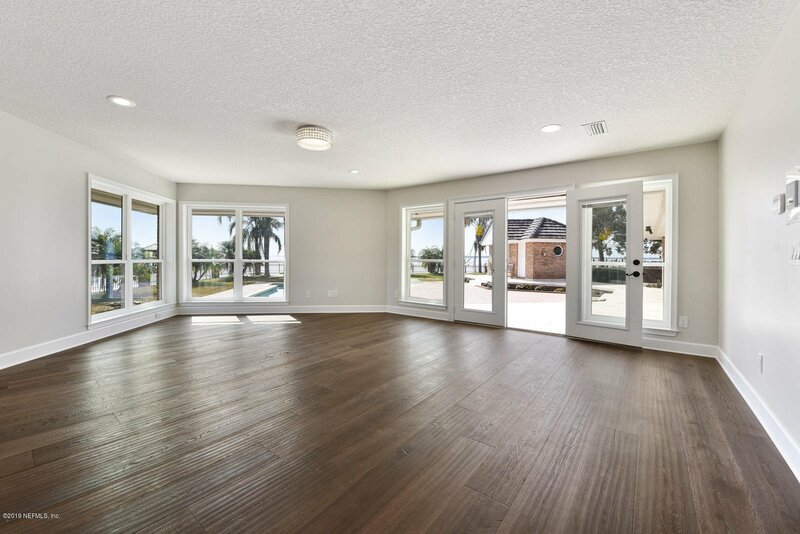 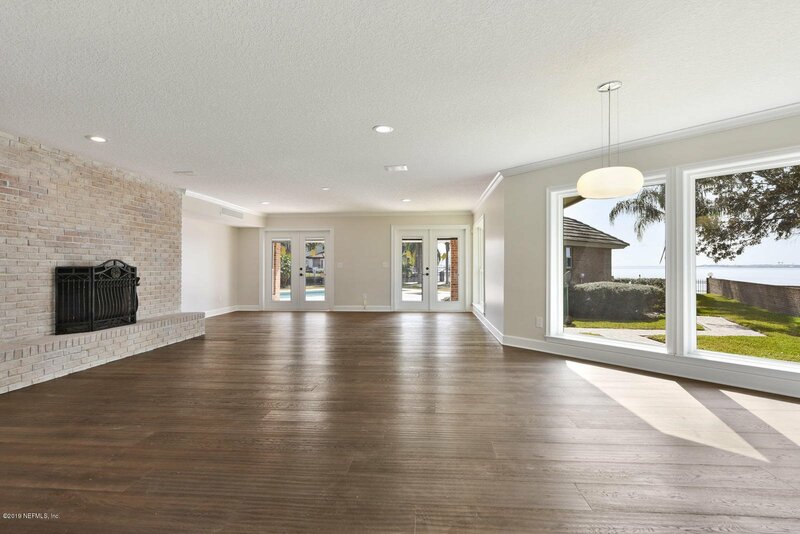 Inside the open floor plan is perfect for entertaining, with breathtaking views of the river from every room. 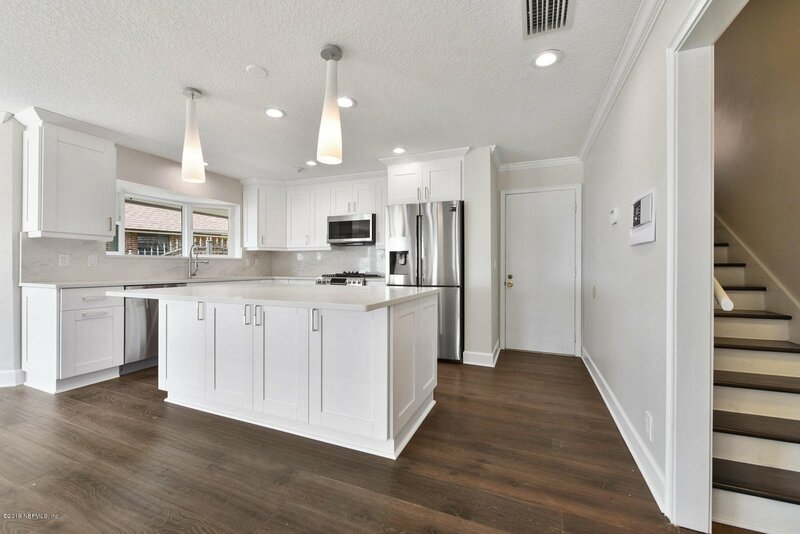 You will love the gourmet kitchen with brand new appliances, including gas range, and beautiful marble countertops. 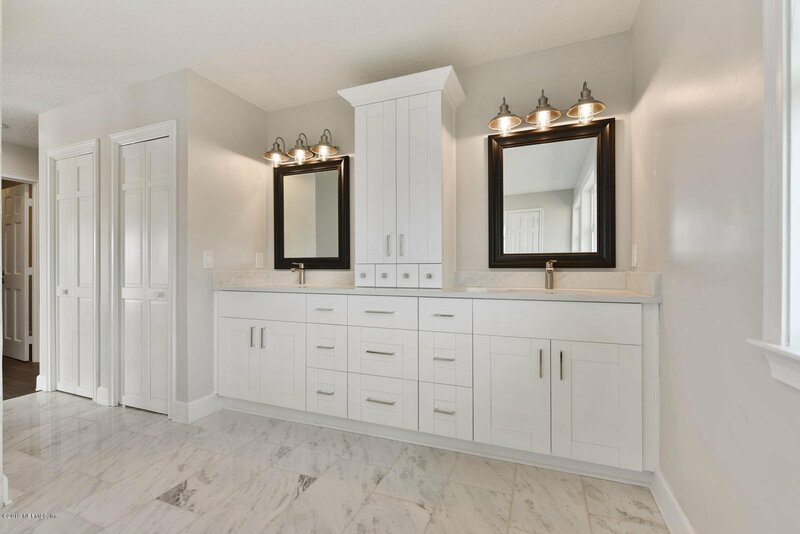 The downstairs master suite features a separate shower and tub, double vanities, and walk in closets. 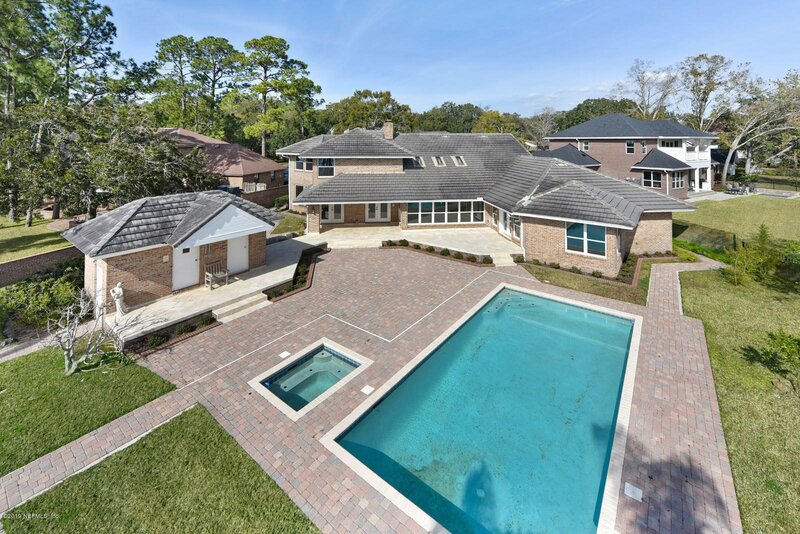 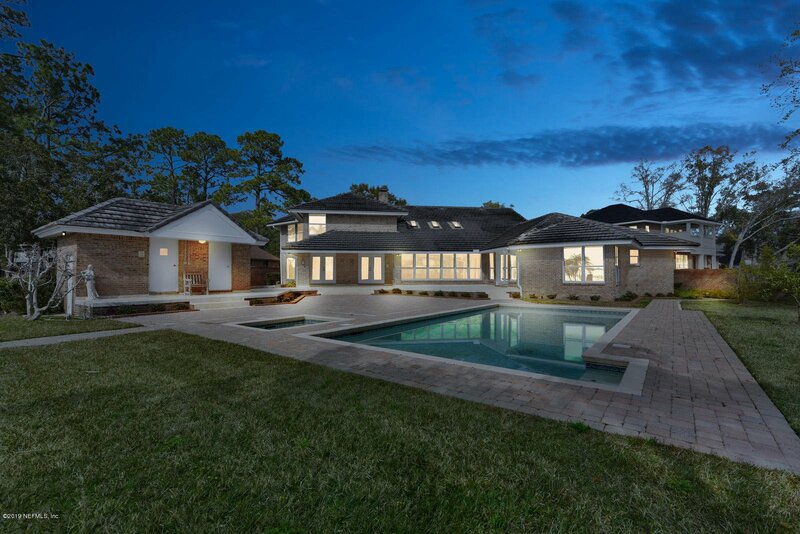 Call this beautiful Jacksonville estate your home and enjoy the best that river front living has to offer! 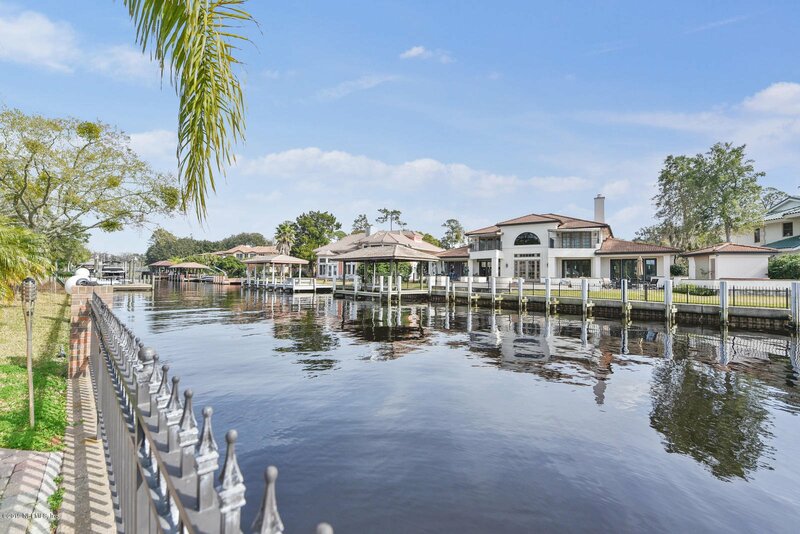 Make this beautiful riverfront estate your new home! 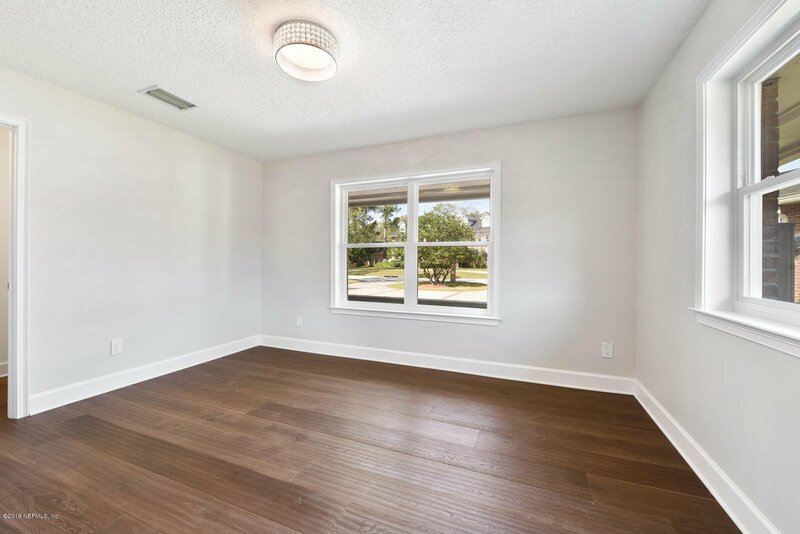 This newly renovated home is conveniently located in an established peaceful neighborhood off San Jose Blvd, just a short drive to downtown with easy access to JTB and I-95. 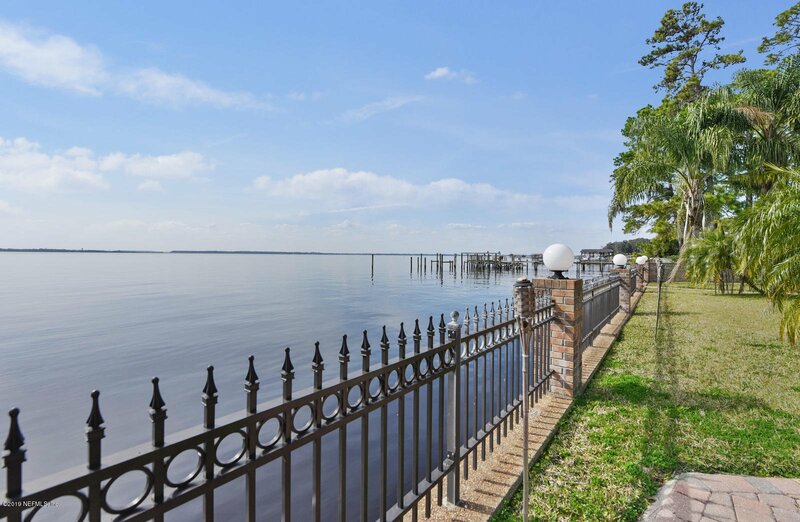 Take in the beautiful views of the St. John's River from this unique "corner" riverfront lot- with both river and canal frontage. 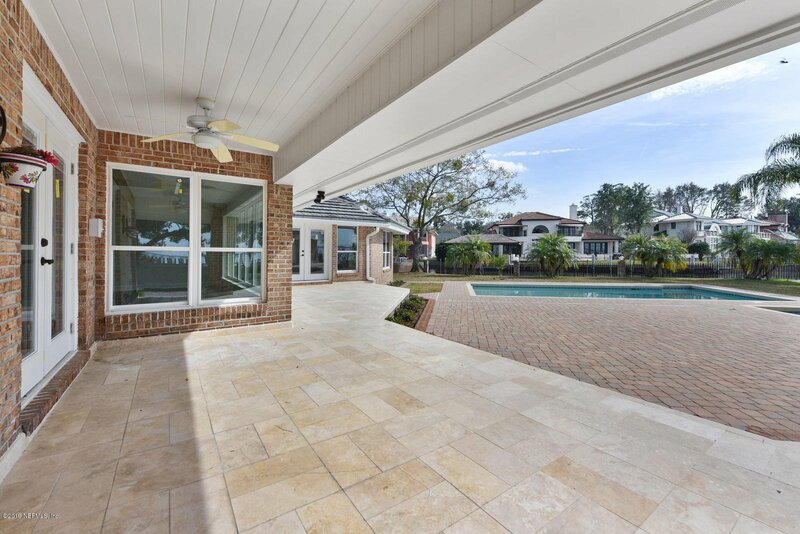 The backyard is like your own private resort, complete with a large pool, hot tub, and cabana with a bathroom and sauna. 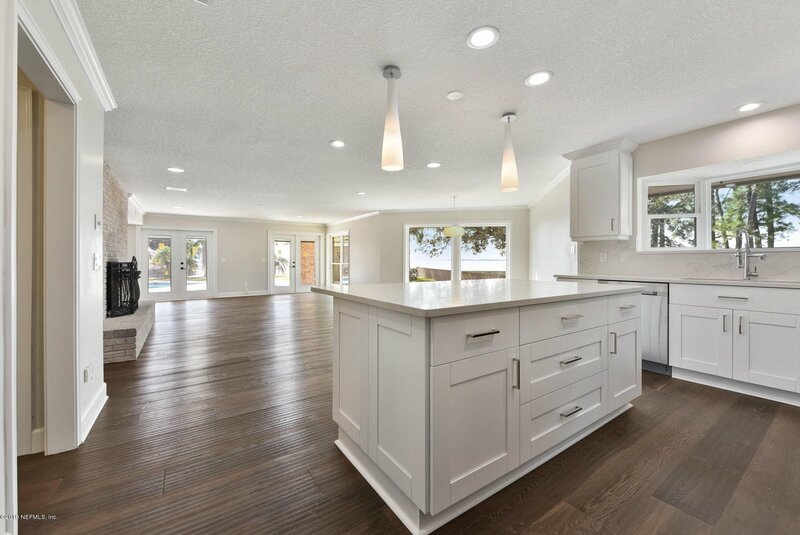 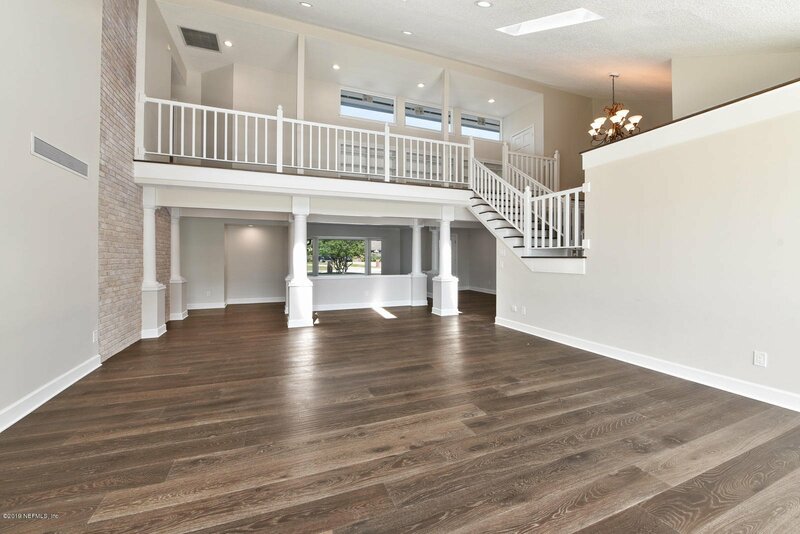 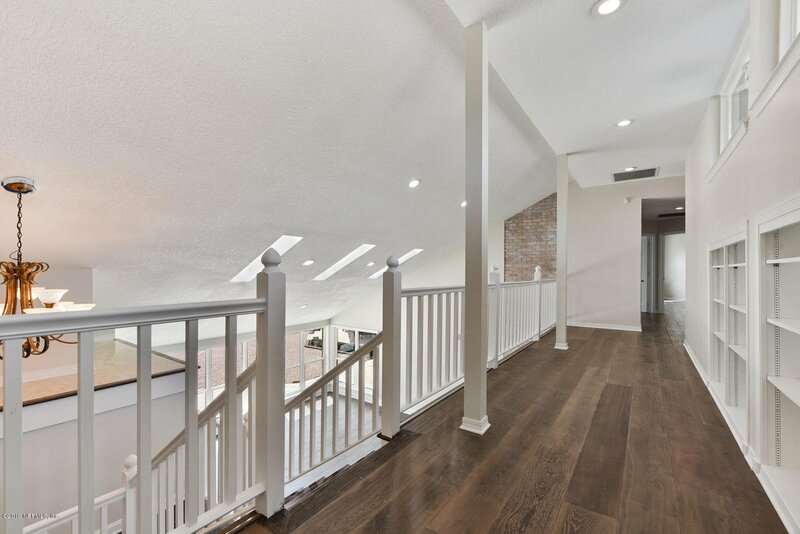 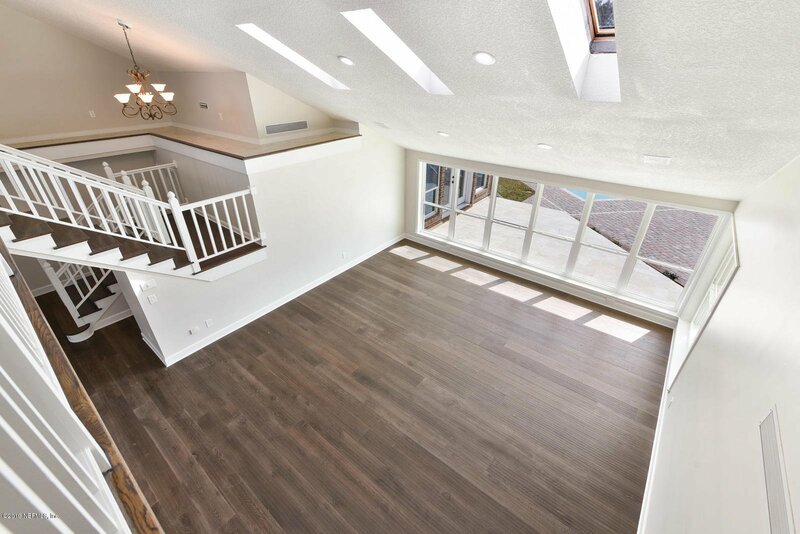 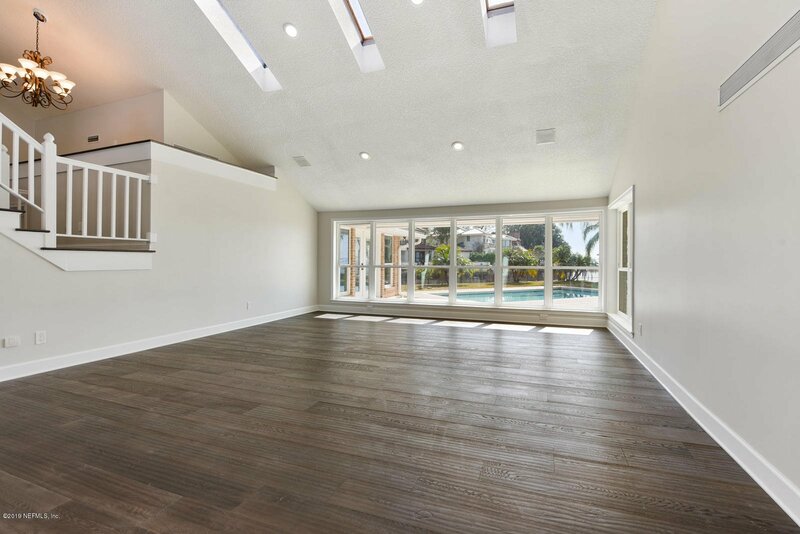 This home has had an extensive renovation done on. 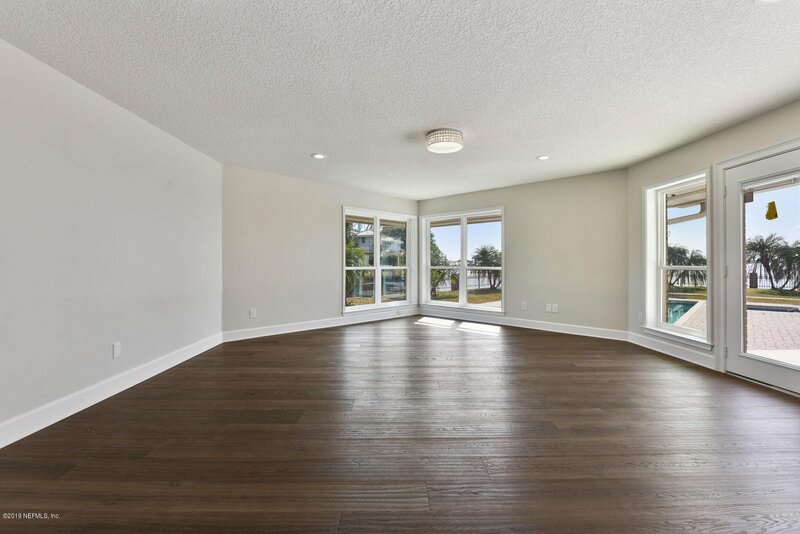 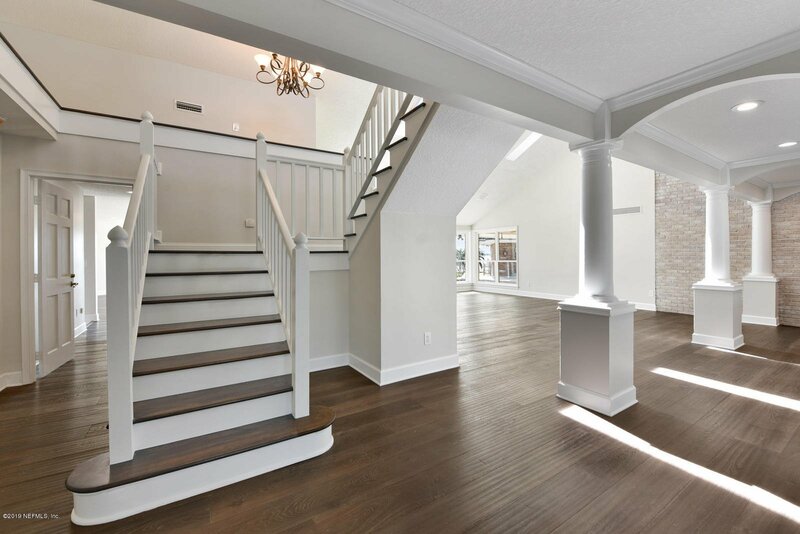 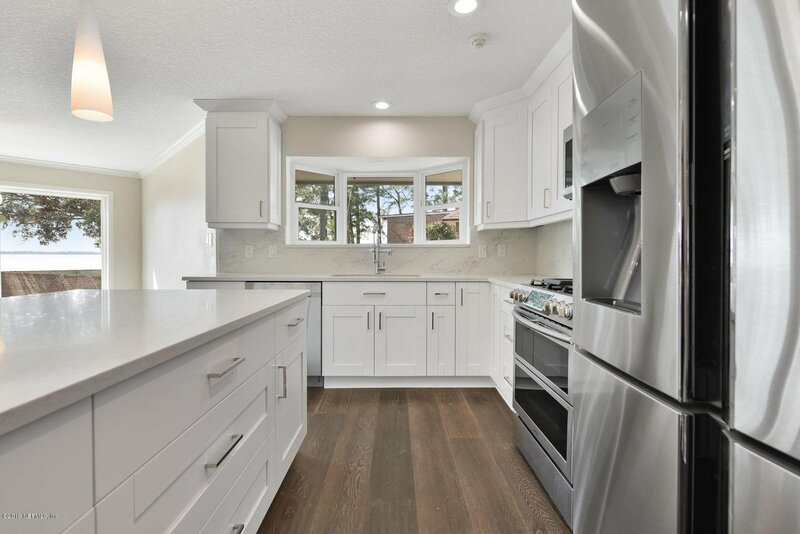 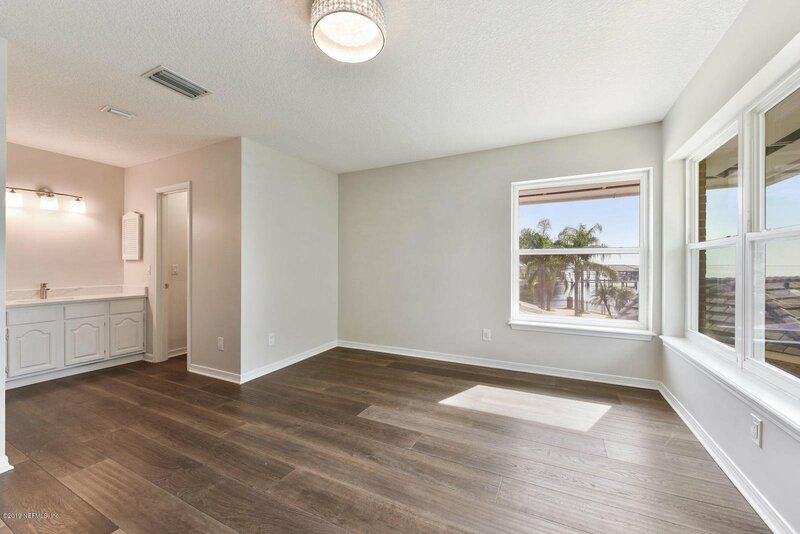 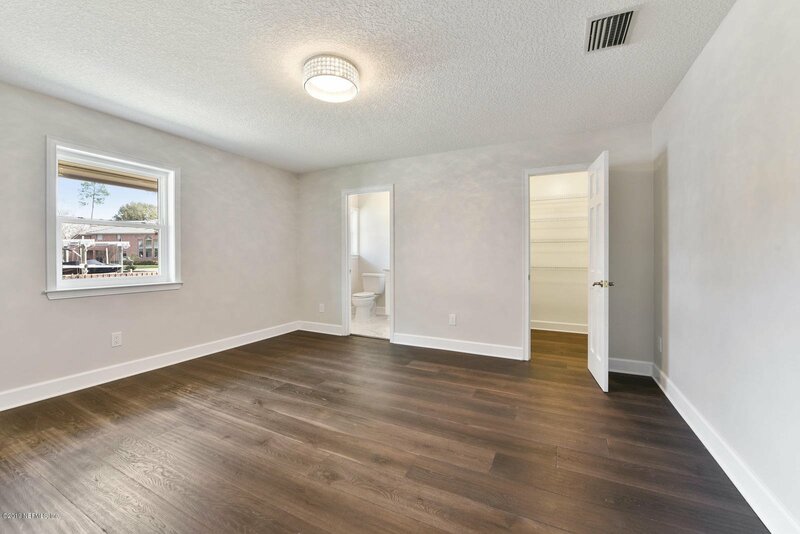 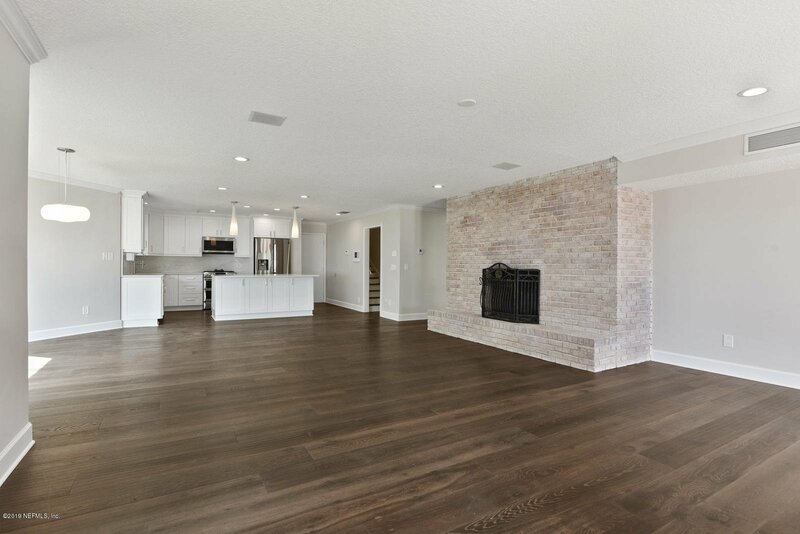 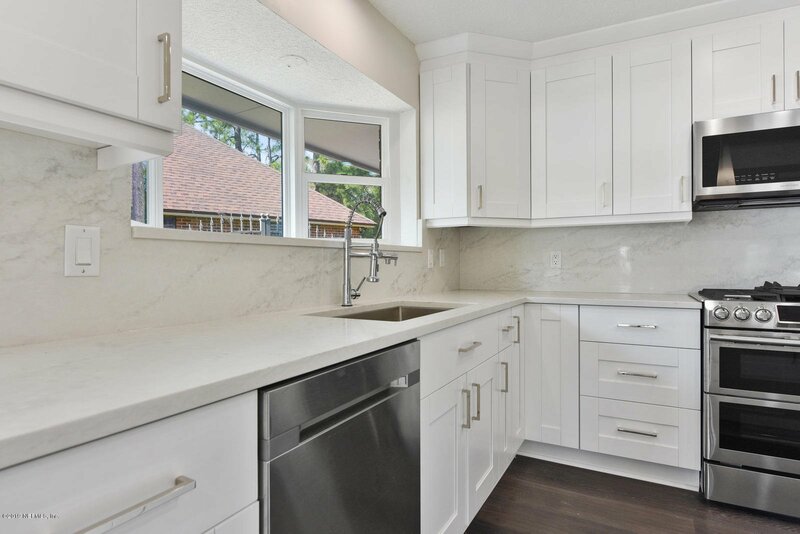 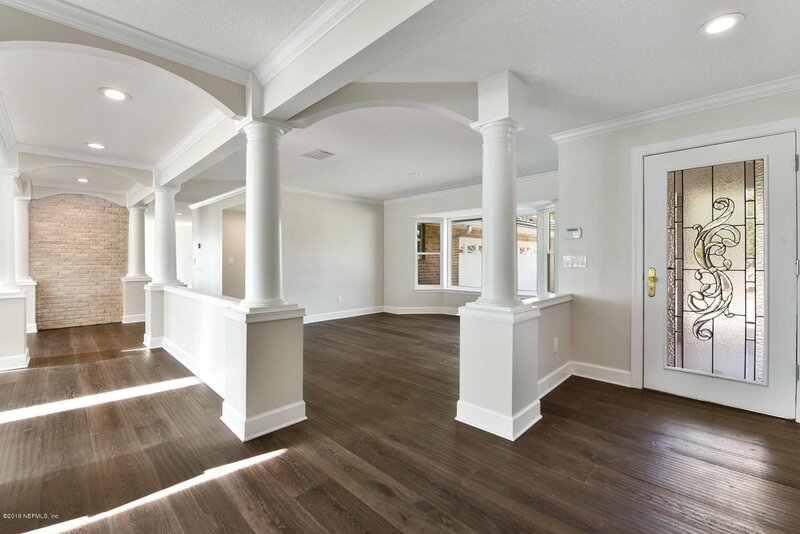 Inside you will be greeted with not only all new finishes such as hardwood flooring and exquisite quartz countertops, and all new appliances, but new systems as well. 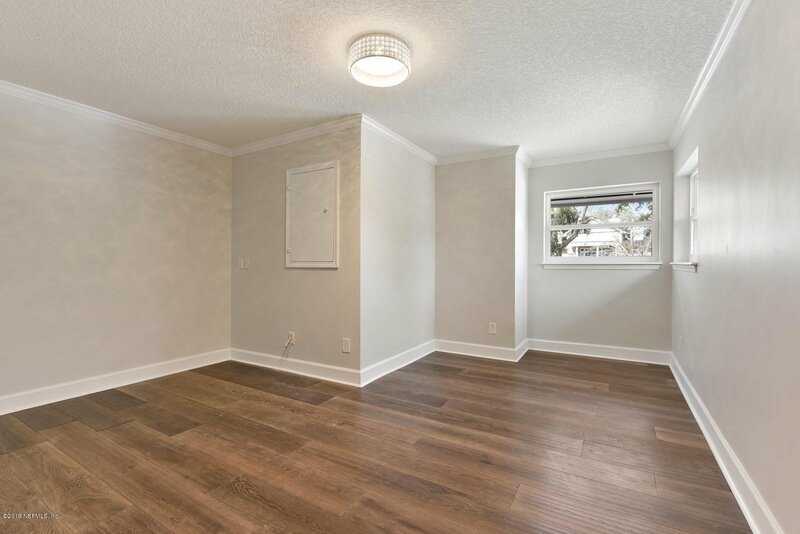 The electrical and plumbing have been updated to today's standards as well as new ac units. 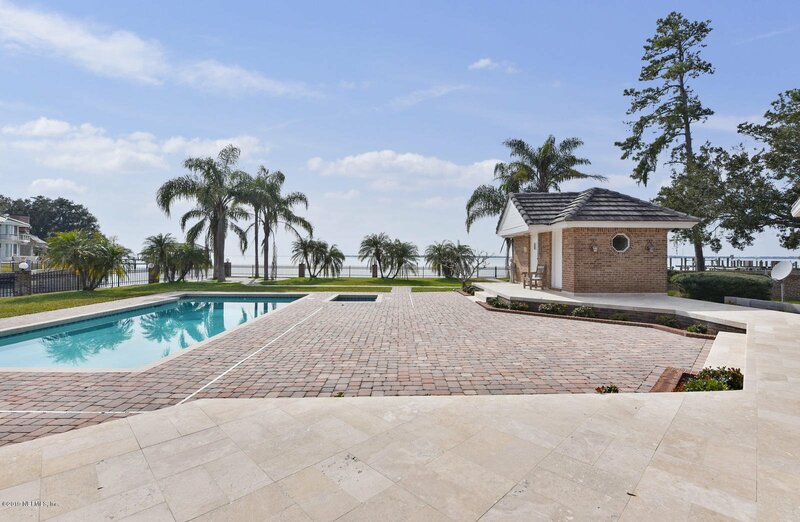 Inside this beautiful home, the open floor plan is perfect for entertaining, and allows for breathtaking views of the river from every room. 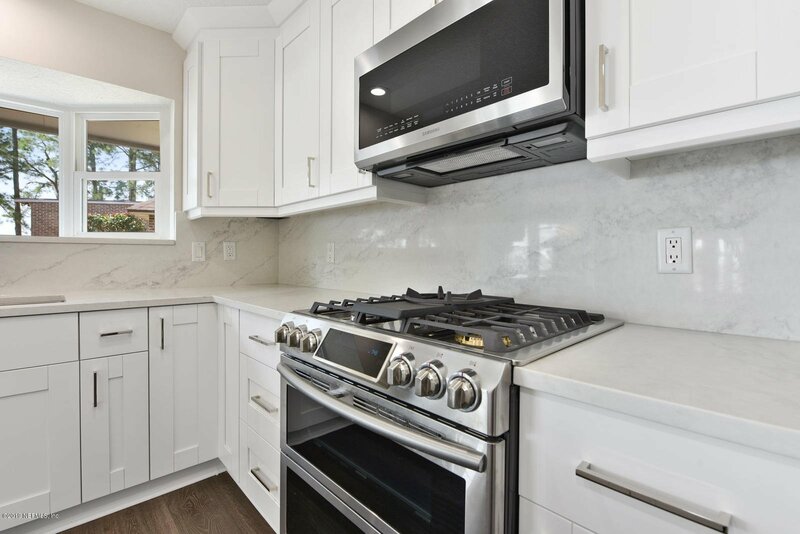 You will love the gourmet kitchen with brand new appliances, including a gas range, and beautiful marble countertops. 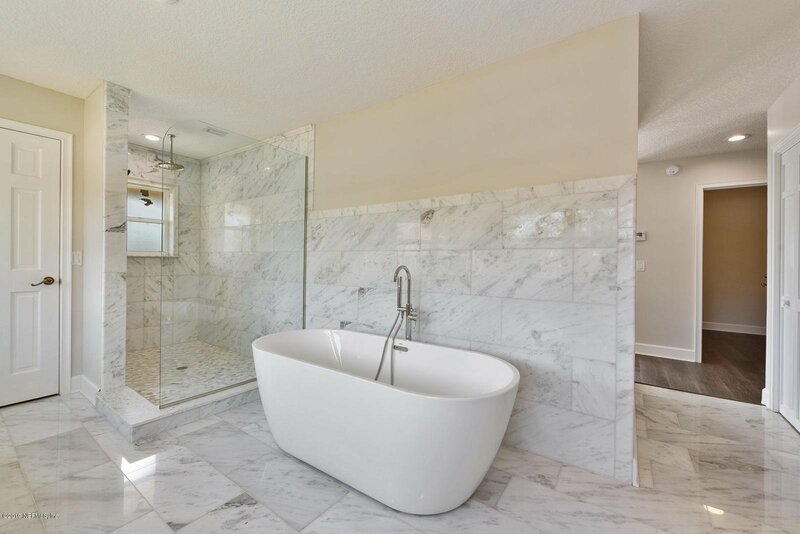 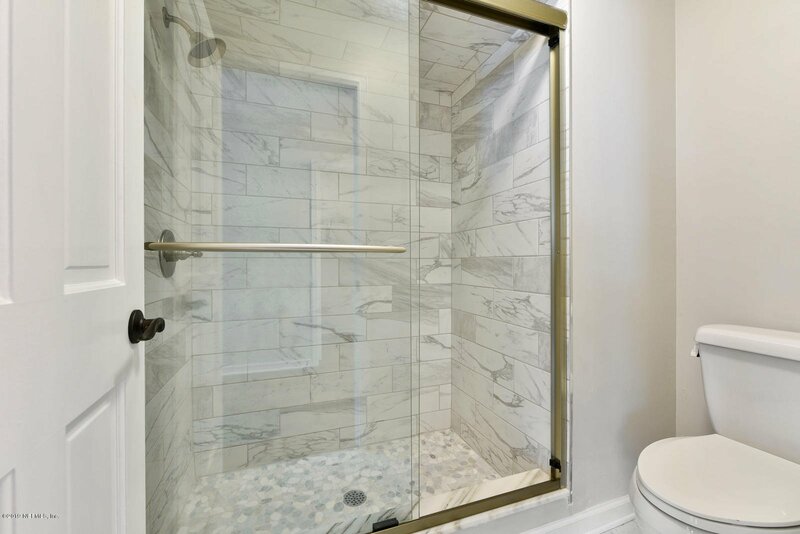 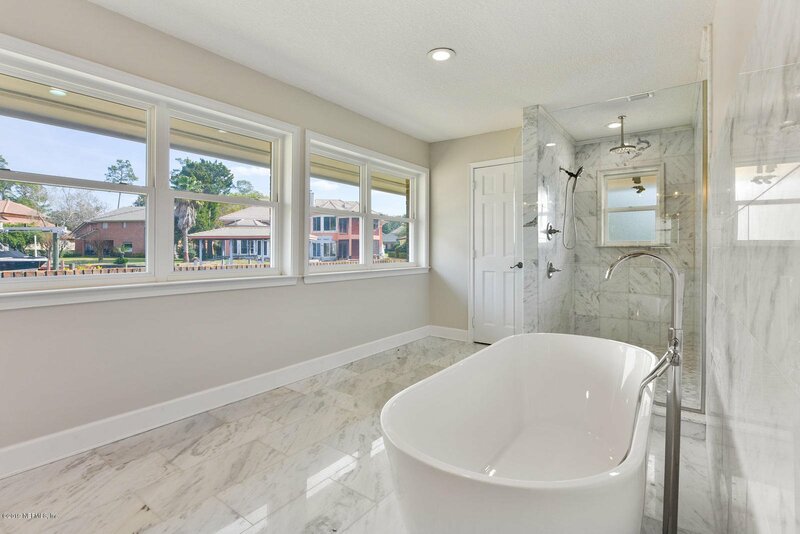 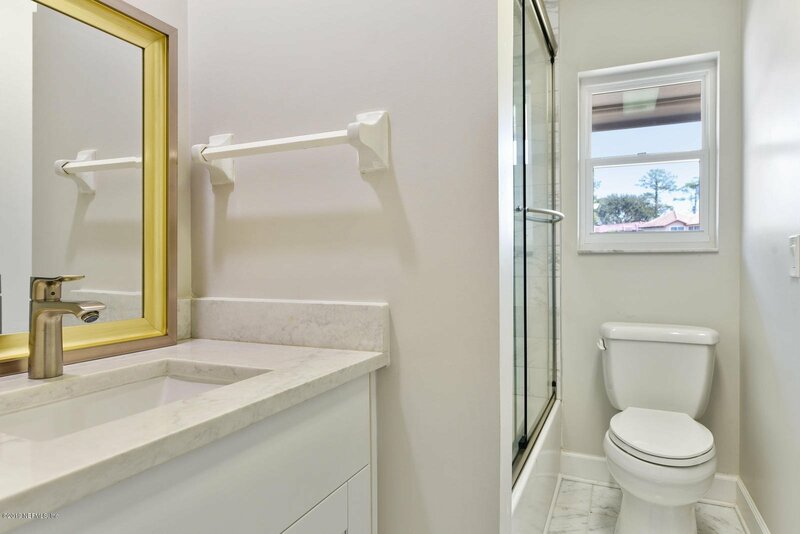 The downstairs master suite features a separate shower and tub, double vanities, and his and hers walk in closets. 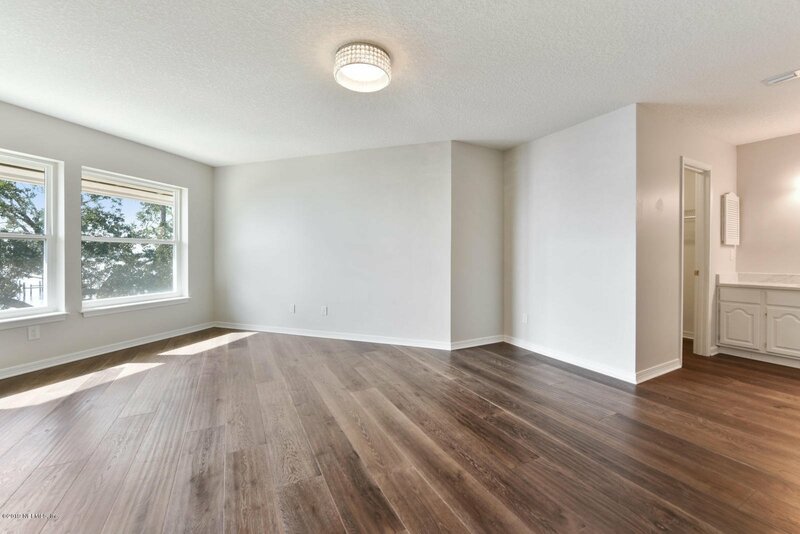 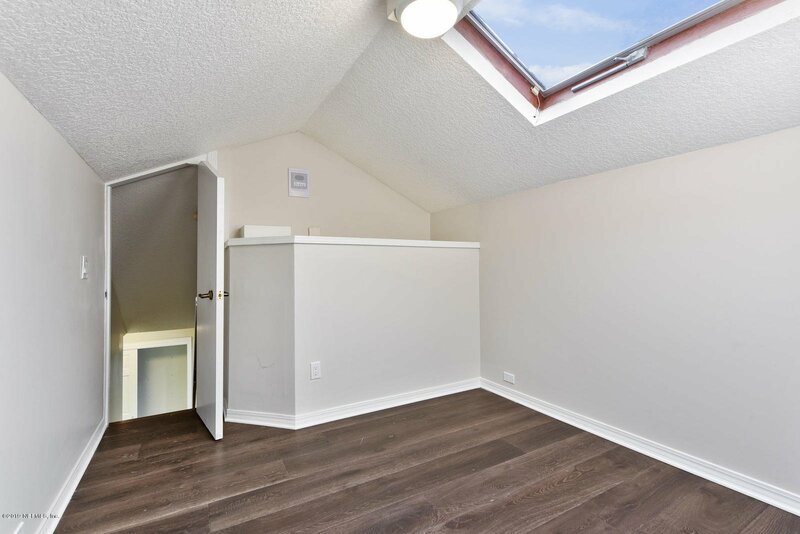 Also downstairs are two large bedrooms each with their own bathrooms. 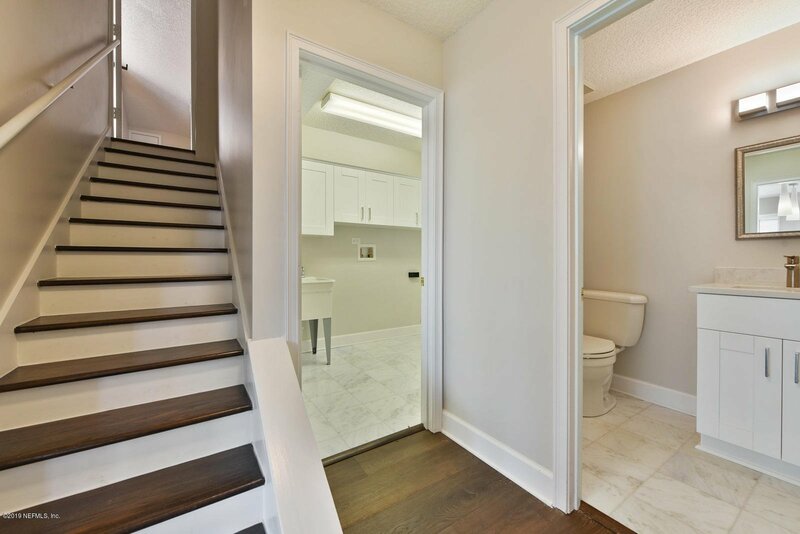 On the second level you will find an office, and the remaining three bedrooms, each with their own bathroom as well. 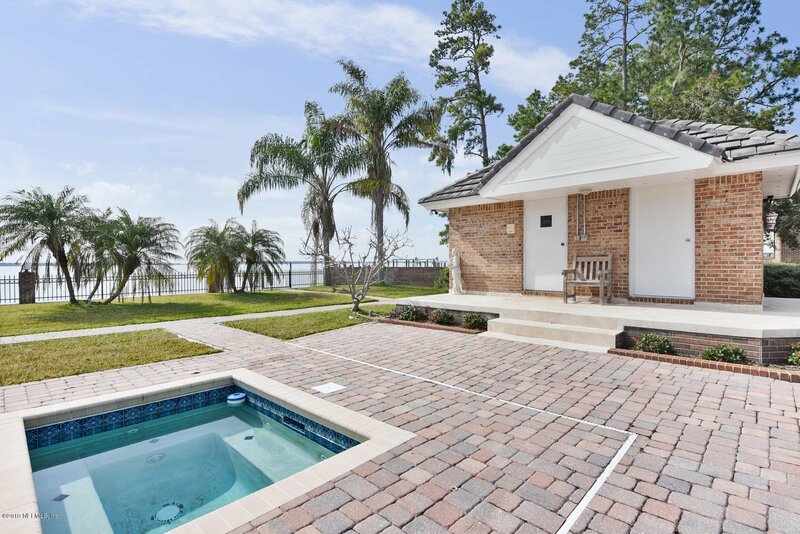 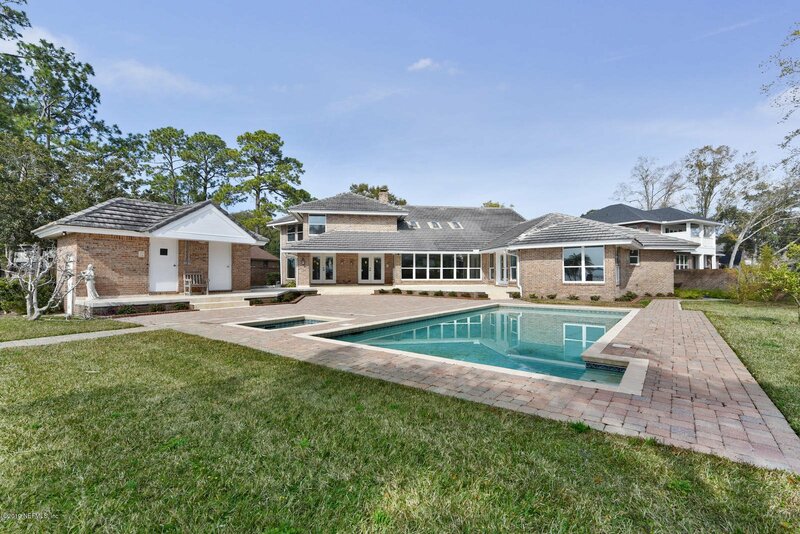 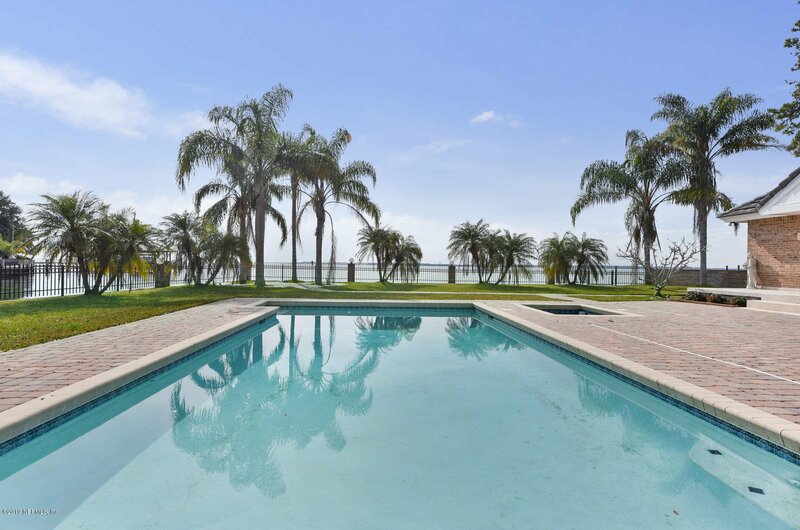 Call this beautiful Jacksonville estate your home and enjoy the best that river front living has to offer! 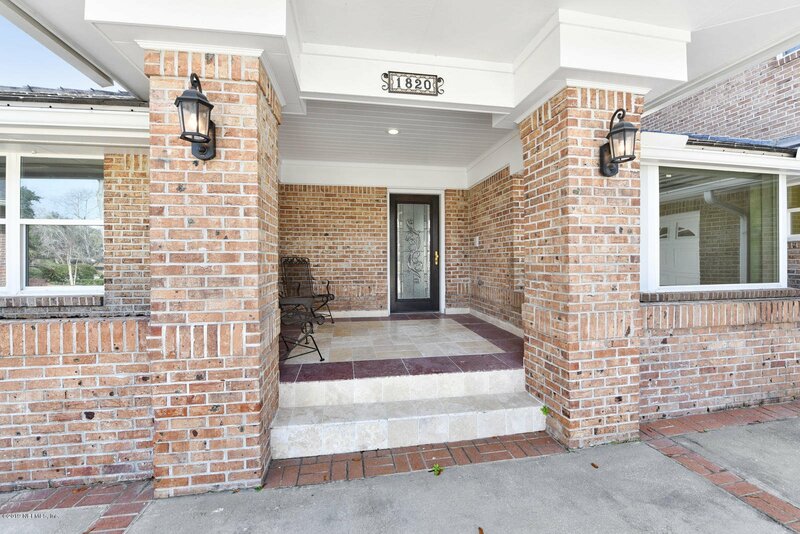 Listing courtesy of MONARCH PREMIERE PROPERTIES LLC.